Posted by Bro. Steve M.
See me for reserving a table. They go fast! March is upon us, and the inevitable progress towards spring reminds us of all the great times ahead of us. 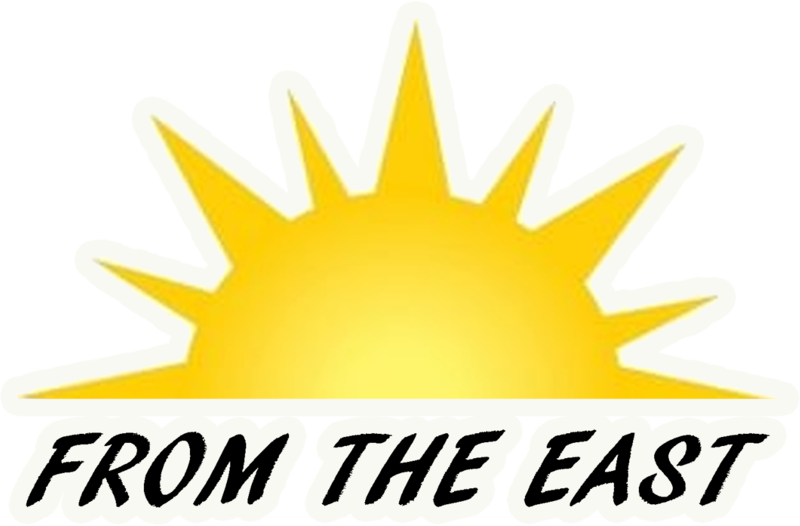 As I look at the near future I see a Game Night at the Lodge (March 9th 7:00 PM) and our ever popular Ballroom Dancing fundraiser (April 13th), benefiting Mariners scholarship fund. 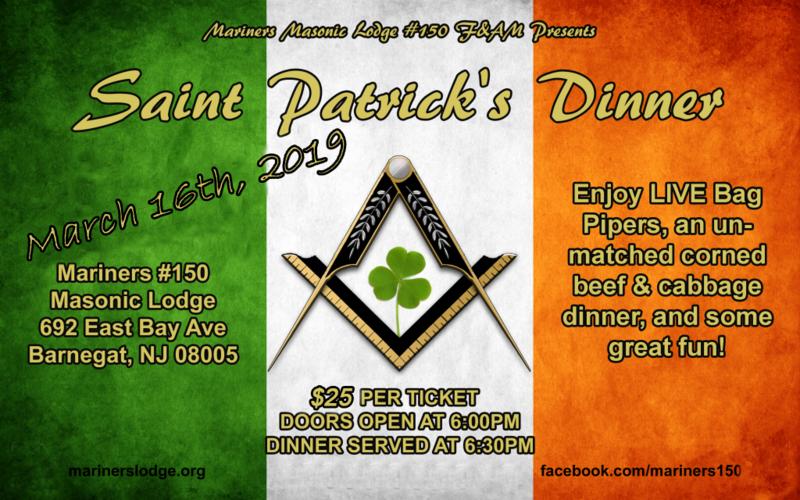 Also March brings us to our annual St. Patrick's day celebration on March 16th; that annual festival of bagpipes, dancers, corned beef, cabbage, and fellowship that brings us, our families, and friends closer every year.. Regardless of our ages, March and April remind us of the rebirth of Spring, and should encourage each and every one of us to reach out, reengage with our families and friends, and look for opportunities to be of service to our fellow man. Brotherly love is not a tangible commodity. We cannot touch it or weigh it, smell it or taste it. Yet it is a reality; it can be creative, it can be fostered, it can be made a dynamic power. The Master who has it in his Lodge and his brethren will find that Lodge and brethren give it back to him. The Master too worried over the cares of his office to express friendliness need never wonder why his Lodge seems too cold to his effort. 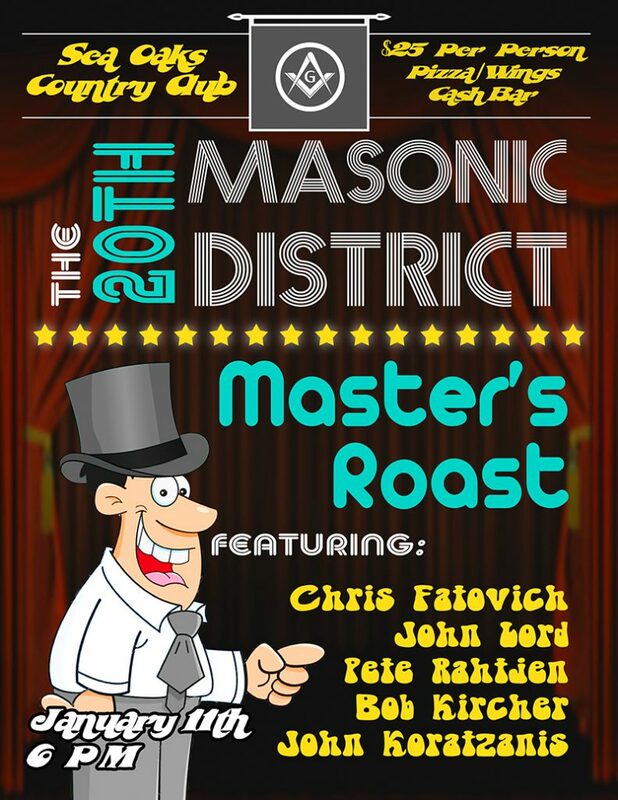 This is an open event for all men, Masons and non-Masons alike. It is a no-pressure atmosphere if you just want to come in and ask some questions. We will be happy to extend our home to feel like your home for the time you are with us. The dress is casual and the food is excellent. No appointment is necessary and there is no charge to visit. Any Brother will be happy to assist you if you plan on stopping by. Mentoring and Progression isn't just about being able to remember something. It is also learning the meaning behind what you are saying. 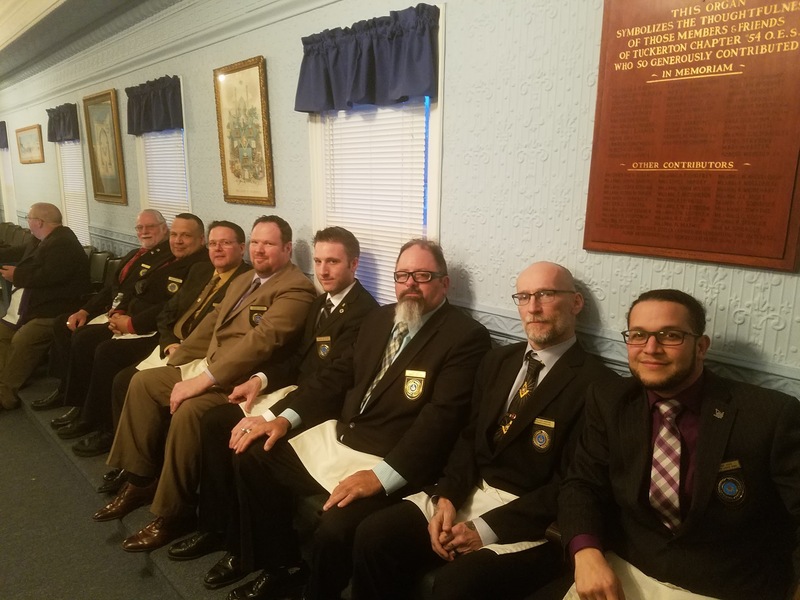 Whether you're a past grand officer or a newly initiated Entered Apprentice, come join us for fellowship, Brotherhood and Education. Entered Apprentices, Fellowcrafts and Master Masons studying their required work should attend when possible. All others welcome. This event is to offset the cost to Lodges for various District Functions. 25 Dollars per ticket. Cash Bar. Mariners Lodge is having a Hawaiian-Shirt Night on June 11th 2018 at 7:30 PM. 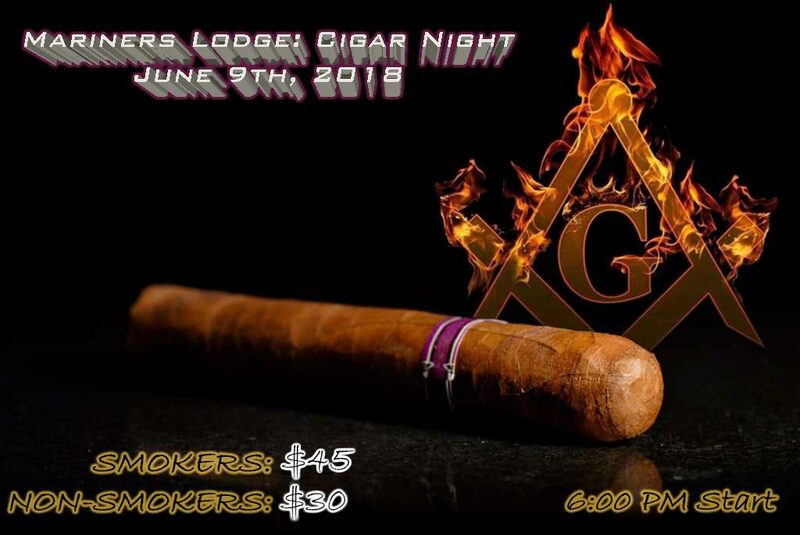 Please come out and join us for an evening of Food and Brotherhood. Imi Ka’kou E Ka Kukui --"Let us seek the Light." Mariners – Darcy Fellowcraft Collaboration! 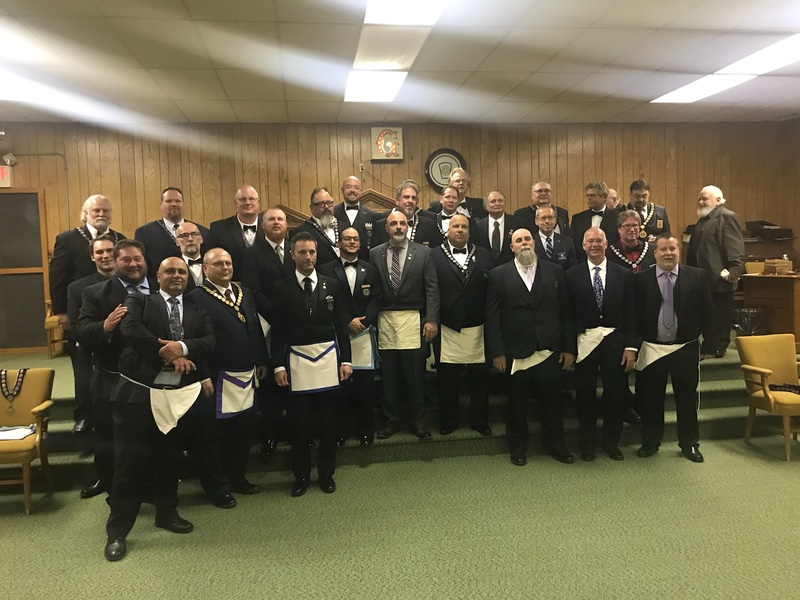 Mariners Lodge had the pleasure of assisting Darcey Lodge No. 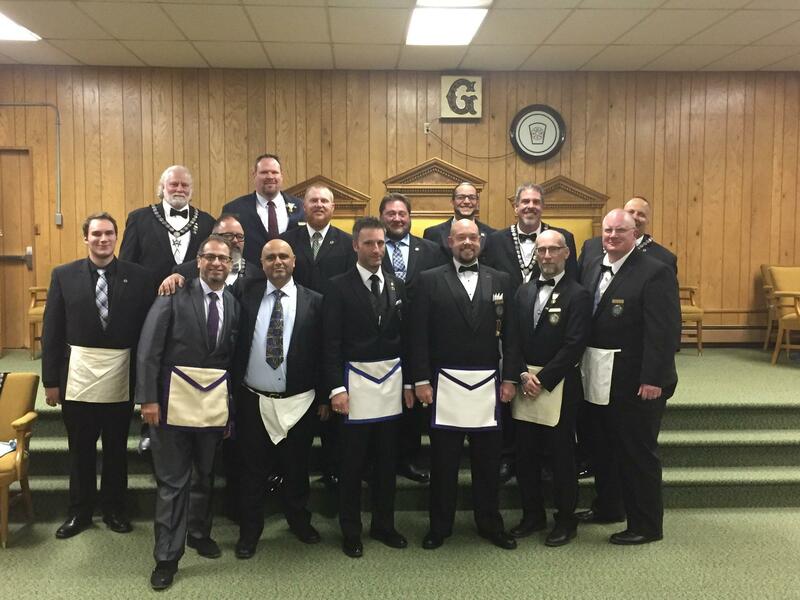 37 with their Fellowcraft degree and passing one of our own, Bro. FC Nasir Dakrat. 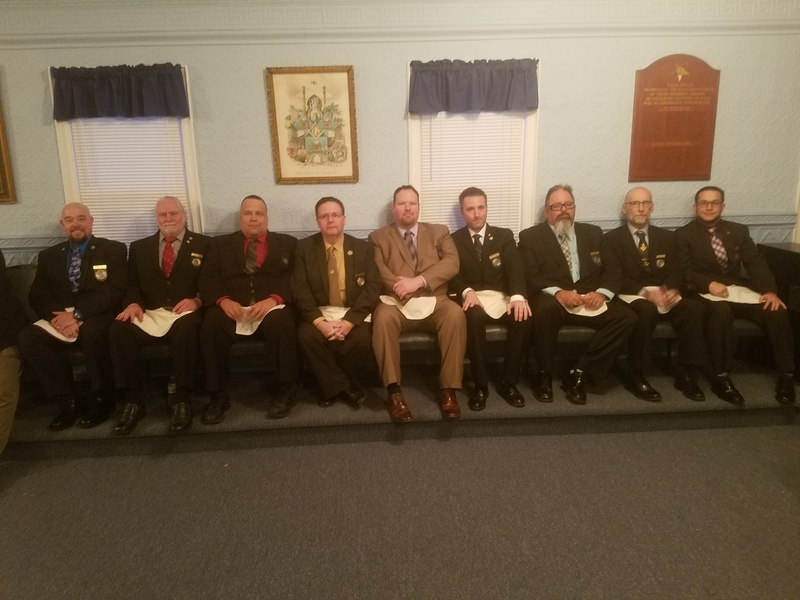 Congratulations on a Successful Travel Night with WB Peter Rahtjen and to our five Brearley Award Recipients presented by Grand Master Deiter B. Hees! 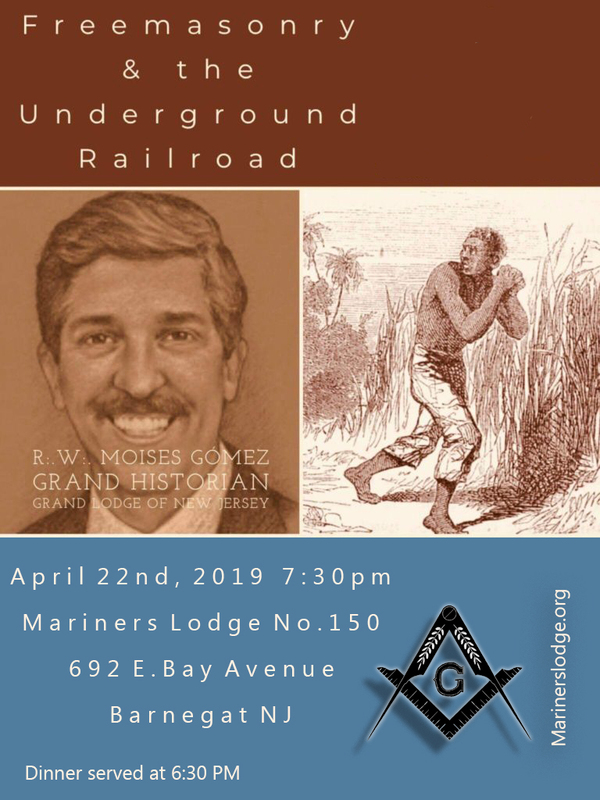 Are you interested in becoming a Freemason? Would you like to better yourself and your community alongside like-minded brothers, committed to brotherly love, relief, and truth? 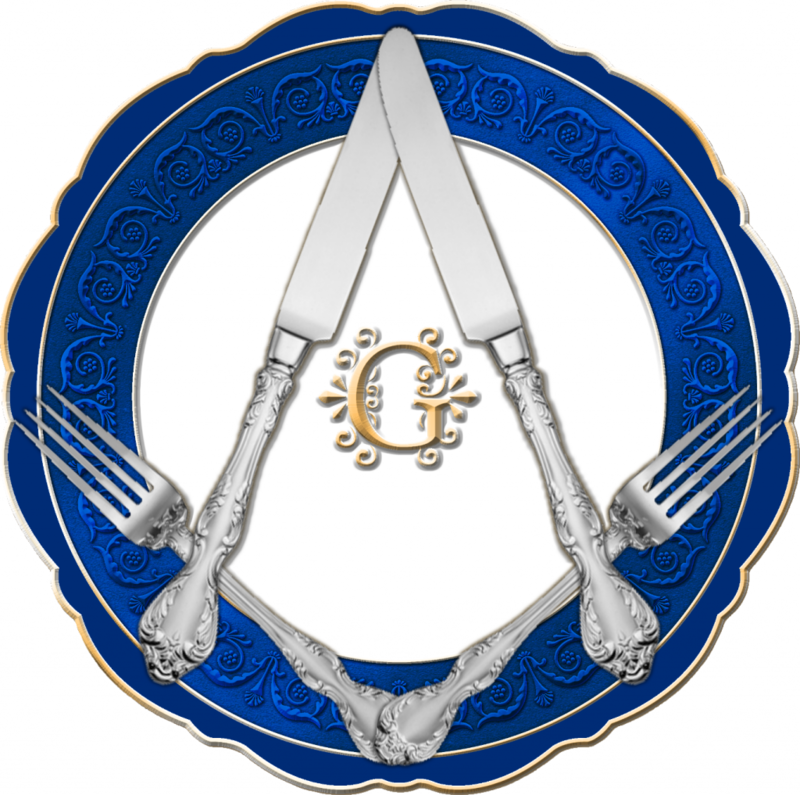 To be made a Freemason, you have to take the first, and most important step: Ask. Download petition for new members. Download petition for dual or affiliate members. If the petition opens in your browser please save the file and fill out using Acrobat Reader. The scholarship is for graduating high school seniors only. Applicants must be related to a member of Mariners Lodge. All applications must be submitted by 18-April 2019.